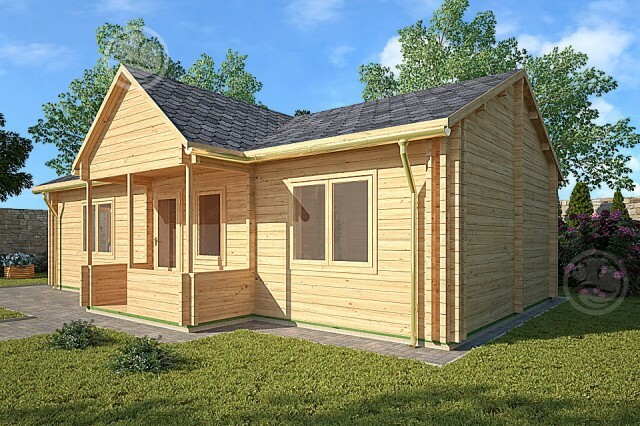 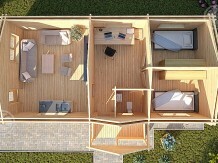 Our luxury double fronted, 2-bedroom cabin is manufactured to increase levels of comfort on Holiday Parks. 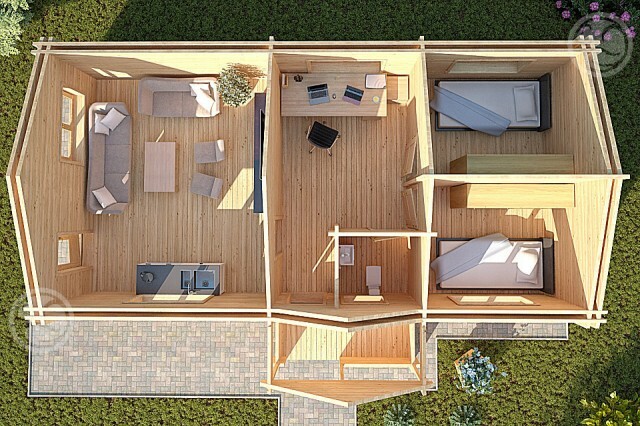 With a spacious living area befitting from a high atrium which lights the room whilst absorbing the noise created by family life, from which you can enter and exit the cabin through the side door. 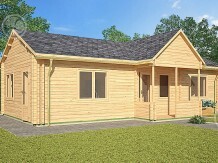 Another door leads to the kitchen diner, which offers plenty of room for a well equipped family kitchen and table and chairs. 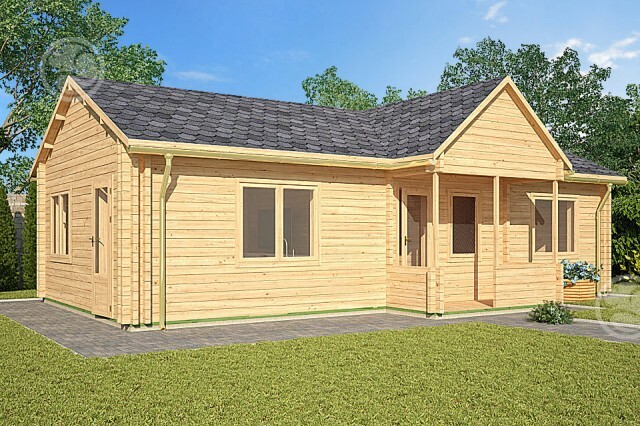 Our most popular design offers 2 equally proportioned double bedrooms ensuring that this cabin is ideally suited for a family on holiday. 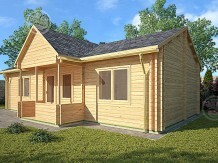 All prices are exclusive of VAT on our residential cabins.